SACRAMENTO, CA: State health insurance marketplace Covered California has issued an RFP for its PR account, passing on an extension year with incumbent Ogilvy. The three-year contract has a budget of $2.5 million per year with an option to renew for three additional one-year periods, according to Amy Palmer, Covered California’s director of communications and public relations. The organization will hold a bidder’s conference on March 20, when it will take questions about the work. Answers are scheduled to be posted on its website a week later. Applicants must register for the conference by next Wednesday. The RFP process will be held in three stages, with the firms selected for the final round scheduled to make their presentations in early May. Palmer said she is planning to have a PR firm in place and working by June or July. "Broadly speaking, we’re looking for firms with proven skills in media relations and event planning and execution and also for innovative public relations strategies to reach broad and diverse audiences," she said. "We definitely want to continue to position public relations events during open enrollment to advance enrollment in health insurance." TV media relations will be a major part of the scope of work. "California is a big state, and we have a lot media markets. 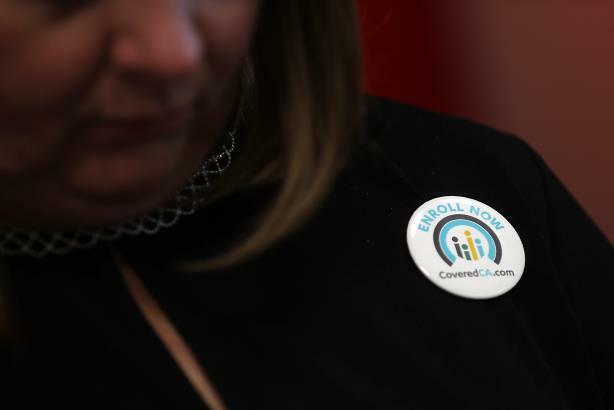 It’s also a very diverse state and the challenge is taking advantage of key dates in open enrollment to generate as much media coverage as possible to attract enrollment," Palmer said. "We know from research that local TV news coverage is one of the key ways people learn about Covered California, and we want to continue our successful efforts in that area." The winning agency must be able to market to the black and LGBTQ communities in culturally appropriate ways and be fluent in Spanish, Korean, Chinese, and Vietnamese. Covered California is in the last year of a four-year contract with Ogilvy with an option to renew the pact for another year. However, the changing state of healthcare law prompted the state to put the review up for bid, Palmer said. "We found that PR for the Covered California part of the Affordable Care Act is very much affected by the new context in which we work, and we would like to have our PR partner on board with us before the end of this year given the ongoing high-profile conversation about health reform that will continue into 2020," Palmer said. Although wholescale healthcare reform failed in Congress in 2017, President Donald Trump has made changes to the Affordable Care Act via executive order. Meanwhile, bringing down the high cost of prescription drugs has also been a White House priority and one of the few policy areas where both parties have common ground. "Medicare for All" policy plans are also a major talking point of Democrats seeking their party’s nomination for president in 2020. For 2019 coverage, Covered California reported a 7.5% increase in healthcare-plan renewals compared with the previous year, although 23.7% fewer consumers signed up for new coverage. Covered California executive director Peter Lee said the removal of the federal individual mandate penalty was the reason that fewer people signed up. "Ogilvy has been an outstanding partner, and together we have won multiple awards including the PRWeek Best in Public Sector campaign in 2017," she added. "I think that whether the bidding process took place this year or next, it makes sense for us to look over the horizon and seek to innovate our PR regularly as this field continues to evolve." Palmer said Ogilvy has been invited to re-bid for the work. An agency spokesperson said the WPP firm plans to do so. "We are aware of the RFP; we're proud of our award-winning work and look forward to responding," the spokesperson said.